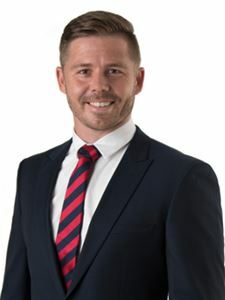 Phil Grant started his Real Estate career in 2002 as a leasing assistant with McGees Property. During this time he was studying at the University of Queensland completing a Bachelor of Applied Science (Property Economics). Upon completion of this course in 2004 he proceeded to progress into the Southside Commercial market in both sales and leasing, specialising in Mt Gravatt and Upper Mt Gravatt area. In early 2005, Phil made the move into Industrial Sales and Leasing on the Northside of Brisbane and hasn’t looked back. Starting at the Brendale office of Knight Frank in January 2008, he was able focus specifically on being close to the heart of the action and day to day activities of local businesses. In 2009 Phil was awarded the A.E. Sharp Award. This is an annual award that is presented to a single employee for outstanding contribution to the company whilst displaying professional excellence. After 5 and half years, Phil needed to advance his career even further and entered a partnership with NAI Harcourts Pinnacle in Aspley. With enthusiasm, professionalism and an ability to search out deals, he has succeeded in meeting clients and customers expectations. Now with over 10 Years experience in Commercial Property sales and leasing, Phil's honesty and professionalism has proven to be the key foundation to his success in the Industrial Northside.